Multiplex: Deleted Scenes — Multiplex: There and Back Again wins an IPPY! 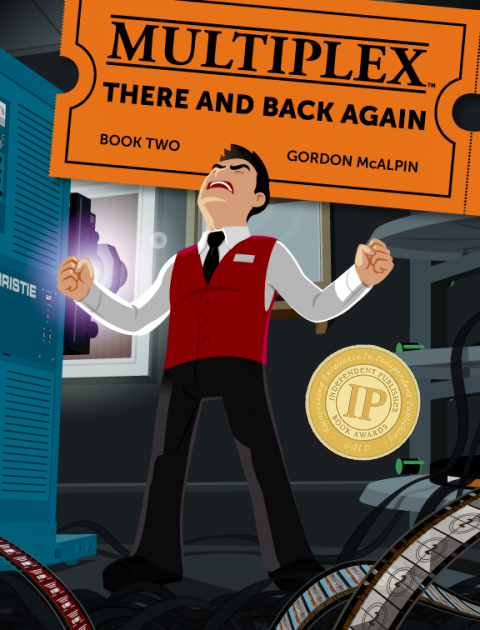 Multiplex: There and Back Again wins an IPPY! I’m very pleased to (officially) announce that Multiplex: There and Back Again (Book Two) has won the Gold Medal for Graphic Novel/Drawn Book–Humor/Cartoon in the 2014 Independent Book Publisher Awards (a.k.a. the IPPYs)! That’s right, Multiplex is now an award-winning comic strip, and I am an award-winning cartoonist. Also, an award-winning publisher and book designer. (I don’t really count the 2008 WCRCA for Best Supporting Character.) You can see the complete list of winners over at the Independent Publisher site. In celebration, I’m offering $5 off Multiplex: There and Back Again for the next TWO WEEKS ONLY! (This basically amounts to free shipping for US folks — or a free upgrade to the Artist’s Edition — and a shipping discount for the rest of you fine folks who have read this far down.) This sale expires 5/20/14! This entry was posted on Tuesday, May 6th, 2014 at 09:15am	and is filed under Merch, Multiplex News. Congrats, you very much deserve it.